A new, particular logistic regression model is proposed to improve confidence measures for automatic speech recognition. Speaker-adapted models are proposed to further improve confidence measures. Empirical results are provided showing that speaker-adapted models outperform their non-adapted counterparts. The improvement of confidence measures is shown to be useful on an interactive speech transcription application. Elsevier’s Computer Speech & Language, an official publication of the International Speech Communication Association (ISCA), publishes reports of original research related to the recognition, understanding, production, coding and mining of speech and language, encouraging an interdisciplinary approach to speech and language research and technology. With a JCR 2014 impact factor of 1.753 (5-year: 1.789), it’s a Q2 journal in the category of Computer Science: Artificial Intelligence. 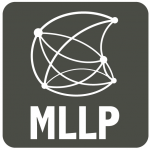 In the last six years (2009-2015), MLLP members have published over 15 international journal articles (Pattern Recognition Letters, 51, 2015; Pattern Recognition, 45 (9), 2012; IEEE Trans. Audio Speech Lang. Process., 20 (2), 2012; …) and over 50 international conference papers (AMTA 2014; ICASSP 2013; EACL 2012; ICDAR 2011; …). You can browse through all of the group’s 200+ publications (starting from 1991) in the Publications section in our website. In related news, Isaías Sánchez Cortina, first author of this new article and former MLLP member, will be defending this week his PhD thesis on “Confidence Measures for Automatic and Interactive Speech Recognition” (advisors: Dr Alfons Juan Ciscar and Dr Alberto Sanchis); you can read here the dissertation’s abstract. The public PhD defence will take place next Friday, 15 January 2016, at 12:00 PM, at the Universitat Politècnica de València’s Dept. of Computer Systems and Computation (DSIC). Posted in All, Events, Publications and tagged Automatic Speech Recognition, Computer Speech and Language, Confidence Measures, Intelligent Interaction, MLLP publication, MOOC.